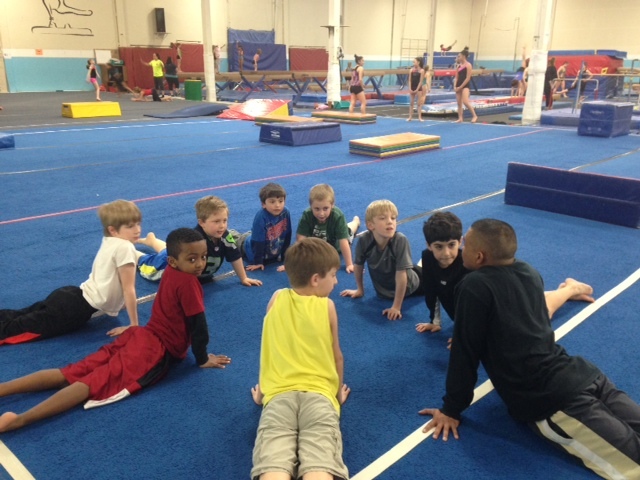 Boys Classes – Welcome To Metropolitan Gymnastics! Gymnastics is a great foundation for any child and boys who participate enjoy the lifelong benefits of increased coordination, confidence and high self-esteem as well as physically fit bodies. Men’s gymnastics is great for the developing strength, joint flexibility, and body awareness! Boys who participate in gymnastics gain increased motor skills that can be helpful in many other sports as well. The classes below are perfect for gymnasts looking to begin gymnastics for the first time or pursue a recreational track in the sport! Each class has a certain criteria required to graduate to the next level in our recreational program, if your gymnast is looking for a more competitive track, please check out our pre-team classes or look for team try-out opportunities posted in the gym. Intermediate Boys – (Ages 7+) – 90 minutes Each class will provide the gymnast with an opportunity to improve and gain gymnastics skills! We will focus on men’s events (Vault, Parallel Bars, Pommel Horse, Rings, High Bar and Floor), and often trampoline to increase coordination, strength, flexibility, skill execution and stamina! This class is great for any athlete looking for a fun and challenging experience to improve their gymnastics skills. Pre-Team Level 3 uses the USA Gymnastics Junior Olympic Level 3 guidelines to teach young boys the fundamentals of competitive gymnastics. Level 3 gymnasts develop strength through apparatus work, learning JO Level 3 routines, and conditioning. Each of these classes are intended to be fun while maximizing the potential for each gymnast! Classes are held 2 times per week, and are intended to help athletes prepare for Junior Olympic competitive level 4. Pre-Team gymnasts are given the opportunity to perform in 2-3 exhibition-type meets per season to show family and friends the skills and routines they have developed!